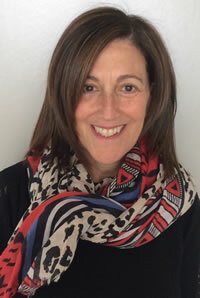 Judith Sonner has been a practicing LICSW for 28 years, specializing in Life Coaching, Biofeedback, Neurofeedback, Hypnosis, and Cognitive Behavioral Therapy for stress-related conditions, such as migraines, anxiety, hypertension, chronic pain, weight loss, insomnia and tinnitus. Most people are unaware of the ways in which their bodies react to thoughts and emotions. Your response to stress compromises your health and interferes with reaching personal goals. There is no need to suffer. Judith Sonner can help you to stop using ineffective coping skills and begin to learn successful skills to achieve your full potential in all aspects of your life: family, career, finances, relationships, and health. Everyone has a unique physiological personality; therefore, treatment is highly individualized. In addition to self-regulation, treatment often includes diaphragmatic breathing, relaxation techniques, motivational enhancement therapies and coping skills development. Hypnosis is a useful tool in helping you to achieve the changes you have already chosen to make. See Judith Sonner’s interview on Radio Entrepreneurs.